Yes. It is their land. They have their ancestors' tombstones to prove it. I have been demanding a resolution to this issue for a long time. The forest department dismisses their claims. Who will resolve this dispute? It is for us, the political leaders, to find a solution. Otherwise tribals and forest officials will remain at each other's throats. I have written repeatedly to various parties for a solution. You were a minister in the previous government. Why did you not sort it out earlier? Chief minister Babulal Marandi had assured us that we would help solve the problem. But it just didn't happen. Yamuna Singh, the minister of environment and forest, is your cabinet colleague. Why could you not work with him on this? I did discuss this with him. He said the issue needs the chief minister's scrutiny. We had planned to meet the chief minister. But that meeting never happened. The government could never stabilise. Tribals complain that the forest department does not make public forest notifications issued more than 100 years ago. Have you seen the notifications that are at the core of the forestland issue here? No, I haven't seen any notification. It hasn't been made public. You could have asked the forest minister to get it for you. Coming from a small party, your chance to press for your demands are better when there is a minority government. I didn't ask for the notification. You can call that my failure. But I will get it now. Is there any research available on the Jungle Andolan documenting the people's struggle and their problems? Is there any voluntary organisation working on this issue? I am not aware of any such research. I am not aware of any voluntary organisation working on this issue. 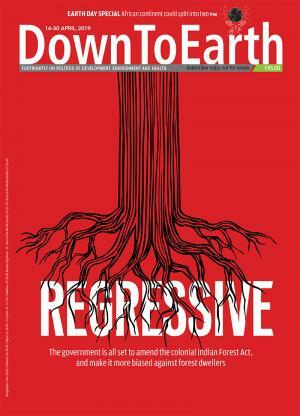 How long will politicians keep asking for forestland to be diverted to agriculture? This has become a habit in India for election purposes. I don't support unrestricted diversion. But these are people who have been wronged. Otherwise, I think tribals should move towards the cities. That's why Jharkhand was created. The Tribes Advisory Council of Jharkhand has met only once. Why? I wasn't on the TAC. Why didn't you ask them to make you a member? You are a prominent tribal MLA. I am not going to ask anybody to make me a member of TAC or any other outfit.